Today I'm featuring Academy Street by Mary Costello, borrowed from the library. Beginning: It is evening and the window is open a little. There are voices in the hall, footsteps running up and down the stairs, then along the back corridor towards the kitchen. Now and then Tess hears the crunch of gravel outside, the sound of a bell as a bicycle is laid against the wall. Earlier a car drove up the avenue, into the yard, and horses and traps too, the horses whinnying as they were pulled up. She is sitting on the dining-room floor in her good dress and shoes. The sun is streaming in through the tall windows, the light falling on the floor, the sofa, the marble hearth. She holds her face up to feel its warmth. Page 56: "'Their familiar accents pleased her. A shy boy from Kerry got up and gave her his chair, moved away with his plate of eggs. She looked around at their open happy faces and sat among them." My thoughts: This short novel (145 pages) caught my eye while I was browsing the library shelves. After reading the book jacket and first few pages detailing a momentous family gathering during her childhood, I wanted to know more about the protagonist and her life in Ireland and America. From Goodreads: A vibrant, intimate, hypnotic portrait of one woman's life, from an important new writer. Tess Lohan is the kind of woman that we meet and fail to notice every day. A single mother. A nurse. A quiet woman, who nonetheless feels things acutely — a woman with tumultuous emotions and few people to share them with. 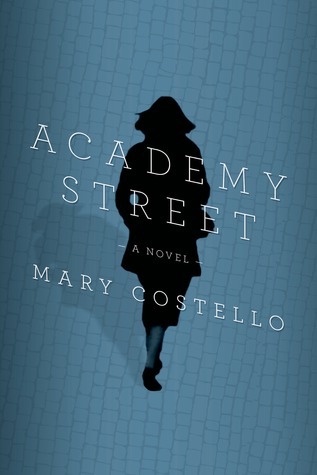 Academy Street is Mary Costello's luminous portrait of a whole life. It follows Tess from her girlhood in western Ireland through her relocation to America and her life there, concluding with a moving re-encounter with her Irish family after forty years of exile. The novel has a hypnotic pull and a steadily mounting emotional force. It speaks of disappointments but also of great joy. It shows how the signal events of the last half century affect the course of a life lived in New York City. Anne Enright has said that Costello's first collection of stories, The China Factory, "has the feel of work that refused to be abandoned; of stories that were written for the sake of getting something important right ... 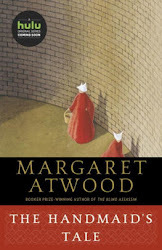 Her writing has the kind of urgency that the great problems demand" (The Guardian). Academy Street is driven by this same urgency. In sentence after sentence it captures the rhythm and intensity of inner life. Friday Focus: The Friday 56 & Book Beginnings #94 was originally published by Catherine for bookclublibrarian.com. This post cannot be republished without attribution. Retweeting and sharing on Google+ are encouraged and appreciated.